this past weekend came and went in a blur. friday morning, we got all of the stuff for food making. matt spent all afternoon stapling a billion dollars worth of hardware cloth to the run. luckily, we told the lady at the farm that we’d be there between 4 and 6, and i think we got there at 5:30. we had stopped off at culver’s because we were both low blood sugaring. the farm had near 200 chickens, a garage filled with caged, crowing roosters, two turkeys, funny geese, a male and two female peacocks, and some funny upright ducks. we brought six pullets home and hopefully they’ll all remain female. the annual party was a rousing success. we think it was the best one yet! all the food was eaten; i think i’m getting better at judging how much to make. the fire in the grill was a nice touch; beer was used to douse it. we had a little drum circle which was fun, and everyone petered out at the same time around midnight. it was nice to be able to sleep in on sunday! i think we *actually* got out of bed around 11:30.
now that the coop and chickens are all put in place, we’re going to clean out and tidy up the day spa in order to make room for containers for their food and bedding, and any other items that need to be hidden from mice. sweetie’s bday is sunday, so i think we’re going to grab some sushi on friday, enjoy our time together on saturday. i just made this up yesterday, it’s loosely based off a recipe from an issue of vegetarian times that i saved in a binder. i don’t tend to measure things, so you might want to judge with your tastebuds. 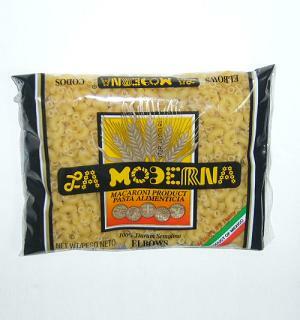 cook pasta according to package directions. since you’ll be cold-rinsing, you want to err on the side of al dente otherwise it’ll get soft and weak. slice up the squash and radishes with a mandoline set to pretty thin. USE THE GUARD. everyone i know who hates mandolines has cut themselves because they didn’t use the guard because “it’s faster”. sprinkle with the dill and capers. when the pasta is done, rinse with cold water and pat dry if you’d like. carefully scoop into the bowl(s) and fold into the veggies. the goal here is to get it to mix but not to crush the pasta. serve at or near room temperature. we spent 3.5 hours on friday, running around farm n fleet and menards, trying to collect everything we needed for building the coop. i just want to pause and say that corded power tools are amazing and no one should buy a battery-powered anything ever. how will i cut a round door? here’s where the chickens will run around… it’s an 8x8x3 box. it’ll eventually have a hinged lid so we can go in if need be. inside the chicken hotel: two nesting boxes, baby pig feeder (perfect for chickens!) and a linoleum floor for ease of cleaning. also, before we started this project, i poured over thousands of coop pictures online that people had posted, lamenting the fact that no one had instructions or measurements or guidance! they just had a really cool coop or tractor that i wanted to replicate but had no idea how. without the help of my sweety and my friend ben, it wouldn’t have happened. we’d been collecting scrap wood for a couple of years, and ben was able to look at the pile and turn it into something tangible. so that’s why i really can’t offer a plan or measurements to you (if that’s why you ended up here)… we just put to use what we had. we framed in the coop, and lost two bunnies and a bird. we’d only had davinci since august, but he must have been sick or older than we’d thought. the bunnies were found by jones, under where the canoe is stored. the mom must have been run over or something. they didn’t seem like babies, but they sure were weak and breathing irregularly. we tried feeding them water and simple syrup, but it wasn’t enough. they needed their mom’s milk. unfortunately, the closest i have is rice dream almond milk, so that wasn’t going to cut it. we’re planning on getting some power tools to finish the coop on friday, and hopefully we can get the chickens saturday. there’s a fella that comes to the farmer’s market every saturday to sling his potatoes, and he lives in richland center (where the farm is that said they had pullets) and he might be able to deliver them to me so we might not even have to drive anywhere! eco-friendly chickens. so there’s this tiny little muscle in your bum that attaches to your pelvis and wraps around your hip joint. it’s called the piriformis (pear-shaped, in latin). somewhere in there, the sciatic nerve runs from your back, near this muscle, and all the way down to your toes. because of the inflammation of this stupid muscle, my foot has been numb and tingly since last monday. in the morning, i can barely extend my leg to depress the gas pedal… switching from gas to brake is painful, and i hope i don’t ever have to do it quickly. i’ve been taking one ibuprofen in the morning after eating a banana cuz mom said not to take it on an empty stomach. and i’ve been taking 5mg of cyclobenzaprine before bed so i can sleep at least til 4.
i have some software on my work computer that tells me to take a 5 minute break every 50 minutes… during which i should be performing my physical therapy exercises but the software allows you to skip the breaks; which i do with quite a bit of frequency. we watched the entire first season of the walking dead this weekend. it’s pretty good! unfortunately, netflix isn’t cable, so we have to wait quite a while for season two. those of you with pets are probably aware of the myriad of nicknames that can come up… we have lots of them, but my most recent for nora is “dooty mcbootle”.